DJ Mike Pardi is our FCW veteran! He has been performing at weddings for over 15+ years with over fifty weddings and events a year. Mike always brings an impressive music lineup to every wedding, making those “cookie cutter DJ’s” just look obsolete. With experience comes perseverance and Mike holds the ability to adapt to almost any situation. Using tasteful interaction at times when needed, he is truly a master of wedding entertainment. 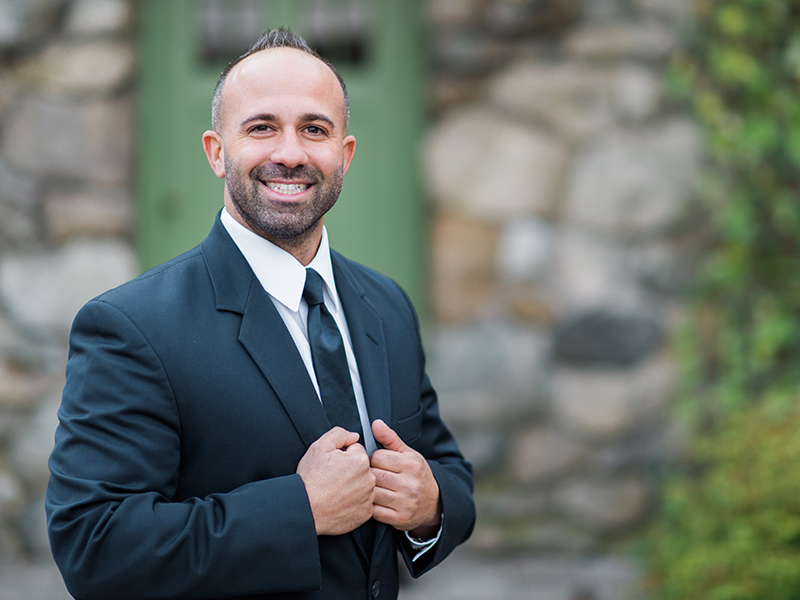 DJ Mike Pardi is a pro when it comes to specialty weddings including Greek music and Italian music (which is no secret)! One of our fastest booking DJs, Mike’s personality and talent is always so quickly sought after by couples looking for a packed dance floor and wedding to be remembered for a lifetime! 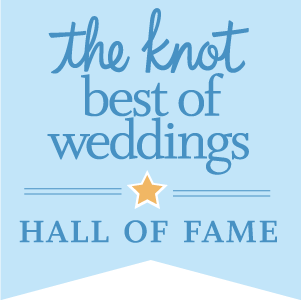 If you want a DJ that will keep your dance floor rockin' throughout the night, you must choose First Class Weddings (FCW) and DJ Mike Pardi! We were sold the first time we met DJ Mike Pardi and his team. He listened to our expectations and delivered flawlessly! My wife and I had many people come up to us and say we chose a phenomenal DJ...the best they've every seen, and we agree wholeheartedly. FCW makes everything flow flawlessly from their online portal where you can easily select the music you want played at your wedding to the awesome communication you have with your DJ leading up to the wedding. DJ Mike Pardi was able to customize a mash-up for our wedding entrance and it absolutely knocked our socks off and the crowd loved it! He also has special techniques to keep everyone on the dance floor if the action starts to dwindle (it's fun, not cheesy like some other DJs we've seen). DJ Mike Pardi should be charging much more for what he delivers! He is that good and will keep the music going to give you a fantastic wedding reception and experience. DJs are instrumental to making sure your wedding runs smooth and is as memorable as possible! Look no further than FCW and DJ Mike Pardi...you will not be disappointed! If you're looking for a great wedding DJ, FCW is the way to go. DJ Mike Pardi made the process so easy and was so fun to work with. During our final consultation over the phone, knew exactly what we wanted and what we didn't. Where we weren't sure what music to use DJ Mike knew exactly what to do and it was perfect. The day of the wedding he was so professional and really knew how to get the crowd going. While my husband and I had to step out and take pictures he kept our guests entertained and laughing the whole time. Please do yourself a favor and book with this company because you will not be disappointed!!! We were lucky enough to get DJ Mike Pardi from FCW for our wedding on 10-22-17 and he was amazing!!! From the moment we met him we knew we wanted him as our DJ. He was able to get every single person out on the dance floor! His song selections and energy kept the “Pardi” going! We highly recommend him and FCW! We are so lucky to choose FC DJ and Photobooth! DJ Mike Pardi did an awesome job that night to keep all of our guests dance on the floor. People keep telling us they like the songs he played. He also did what we discussed about cocktail hour music, some of Chinese music and some special songs! one meeting with us that Mike would be the perfect DJ for us and he was 100% right! He is just an all around great guy and his DJ skills are on point! He played everything we requested and more! Great song choices, the way he did the centerpiece give away was awesome he got the guests up on their feet and having so much fun! He made my crazy Italian family very happy especially will the great Italian music he had going for us! All the guests kept coming up to me telling me how much fun they had at my wedding. We all had a blast and that was because we chose the best DJ- Mike Pardi and FCW!! We also had Josh London for a photographer and he was absolutely amazing as well! He is such a nice guy, very patient and was there at every big moment to catch the shot! I never had to go looking for him to ask him to take a picture of something I really wanted because he was already there catching all those awesome shots and special moments! Josh Weisman is also an awesome guy. As soon as we met and talked with Josh and Josh London we knew FCW was the right fit for us! They are the best!! Going to recommend DJ Mike Pardi, Josh London and FCW to everyone I know!! Thank you FCW for making our special day amazing! We choose DJ Mike Pardi for our wedding and we couldn't be happier about our decision. Everything front start to finish was a breeze. First Class Weddings is so organized and responsive, they get back to you so quickly. I truly can't thank Mike Pardi enough for being a part of our special day and making it so memorable. Everyone had a blast and you got people on the dance floor, which isn't easy for an intimate wedding of 27 guests. THANK YOU!